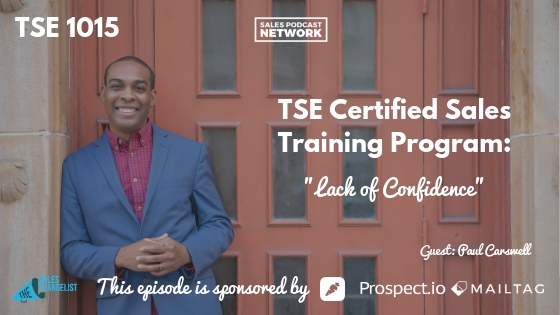 TSE 1015: TSE Certified Sales Training Program - "Lack of Confidence"
One of my favorite topics to talk about is lack of confidence and the challenges and fear that come along with it; and, more specifically, how we can overcome it. Paul Carswell was the salaried manager of a Sherwin-Williams storefront for many years before transitioning in 2018 to become an independent Medicare Insurance Specialist. 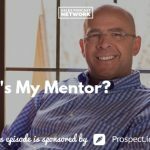 He works with clients ages 65+ to help them and to bring value to their community. Surviving on a 100% commission-based income took some getting used to. Instead of clients walking into the store, Paul had to learn how to make calls and set appointments. In order to educate potential clients on the complexities of the Medicare system, Paul also hosts educational events in the community. 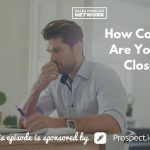 He uses podcasts like this one to reach out to as many people as possible. Such events help people to realize that his primary goal is to help the community rather than to simply earn a paycheck. Moving from a salaried position to a commission-based position certainly caused some fear and trepidation. The transition of receiving a paycheck every two weeks, regardless of performance, to selling private insurance came with a steep learning curve. Paul knew he had to get out in front of people. Nobody was simply “walking into the store anymore.” Previously, his whole day had been planned out for him. Now he had an empty schedule that only he could fill. It seemed nice and relaxing for the first two weeks but then reality set in. With no paycheck coming in and no prospects on the calendar, Paul admits to feeling defeated. A lack of confidence was setting in. Paul had to put his pride aside and get busy. Drawing from his experience as a basketball player, he knew he had to take shots if he was ever going to score. He started contacting old friends and networking – anything to populate his schedule. It didn’t matter if it was Medicare-related or not. Paul found that the more he put on his calendar, the more he was able to begin to weed out the events that would not benefit his business. Eventually, after about eight weeks of making calls and networking – still without a paycheck – he finally had a full schedule of Medicare-related events to look forward to. As a result of the changes he implemented, Paul improved his relationships with his friends by talking with them more. On the business side of things, he has increased his bookings from zero to 50 and is earning a decent income because of the work he put into it. It didn’t all come at once, however, as it did before at Sherwin-Williams. In his current role, sales is a lengthy process instead of a quick sale with an immediate exchange of goods. Learning to understand the long-term payout was his biggest struggle. As such, Paul advises everyone to stay focused on long-term goals. The more people you get yourself in front of, the more you will realize how many people truly care about you and want your business to succeed. You can contact Paul on his cellphone at 703-342-9087 or via email at paul@carswell.io. Paul is on Instagram @paulcarswell. He can also be found on Twitter and Facebook. His website will be up and running soon!